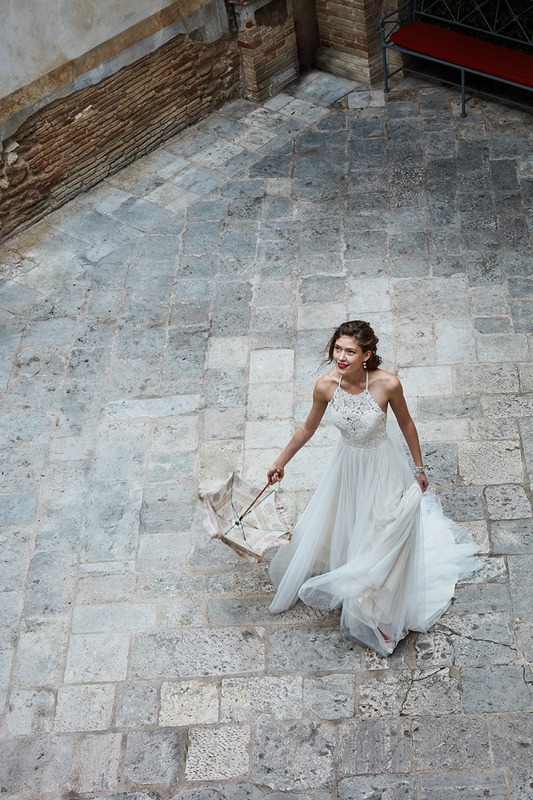 To capture the epic beauty of BHLDN’s newest - and biggest - collection, the team ventured to the Palazzo Margherita, a 19th century estate in southern Italy owned by Francis Ford Coppola. Imbued with a glamour reminiscent of old Hollywood, it was the perfect contrast to delicate lace gowns, frothy tulle skirts, and shoulder-baring silhouettes. The team found romance at each turn, inspiration in every ray of light.